Maintaining a beautiful lawn in spring can be challenging. The vibrant growth needs to be harnessed, and the to-do list is long. When pests are part of the equation, it’s even more demanding. Fortunately, there are a number of ways to care for your grass and keep bothersome insects at a minimum. To help you maintain a healthy, pest-free lawn, keep these three insect control tips in mind. Sticks, leaves, debris, and still water on and around your lawn are magnets to pests, providing them with food and shelter. To avoid harboring these pesky creatures, you’ll need to maintain your lawn on a regular basis. Remove all debris, cut any bushes, and keep the grass short so that pests won’t have a place to hide out. Remove weeds as they appear, as these are notorious for attracting bugs. 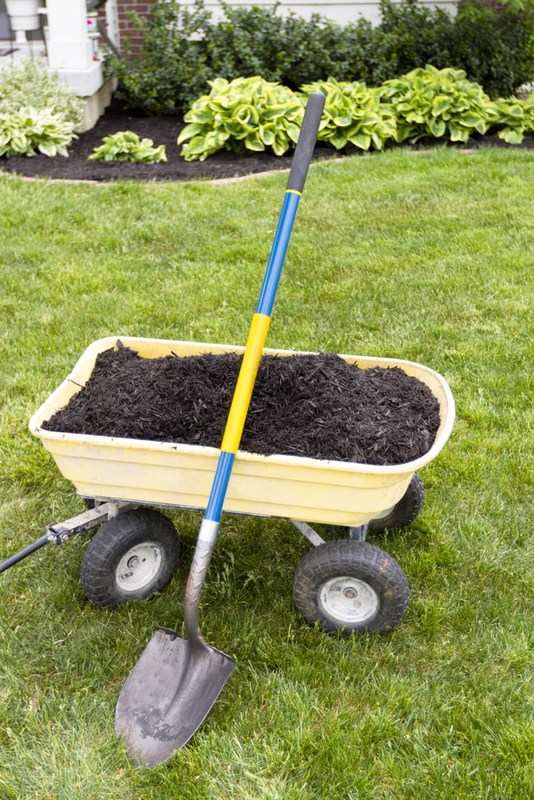 While mulch is practically a staple of landscaping, it can also entice pests such as spiders, ants, and crickets if you’re not careful. These pests are drawn to mulch for its warm, moist qualities, which makes for a suitable home. To avoid this common problem, keep any mulch at a safe distance from your property to avoid pest intrusions. At a minimum, keep it at least 10-12 inches away, but the closer to 18 inches, the better. Be sure to provide a protective barrier around the mulch as well, using gravel or small stones. DIY lawn care and maintenance can be highly time-consuming and costly, as you’ll need to purchase all of your own tools, products, and equipment. Hiring a professional landscaper will relieve this burden and ensure your lawn is at its healthiest and most beautiful. These professionals have access to the most effective repellants, fertilizers, treatments, and equipment to ward off pests and keep your lawn healthy. They’ll know how to strategically curb your insect problem with minimal disruption to your gardening. If you’re in need of reliable lawn care for better insect control, put your trust in Lucky Lawn Service in Enterprise, AL. Offering a variety of residential and commercial lawn treatment services, including weed control, insect control, and fertilization, they’ll rejuvenate your lawn and turn it into a thing of beauty. To schedule your free on-site quote, give them a call today at (334) 347-8873 or visit them online. Other Announcements, Events and Deals from Lucky Lawn Service Inc.
A. Lucky Lawn Service Inc.